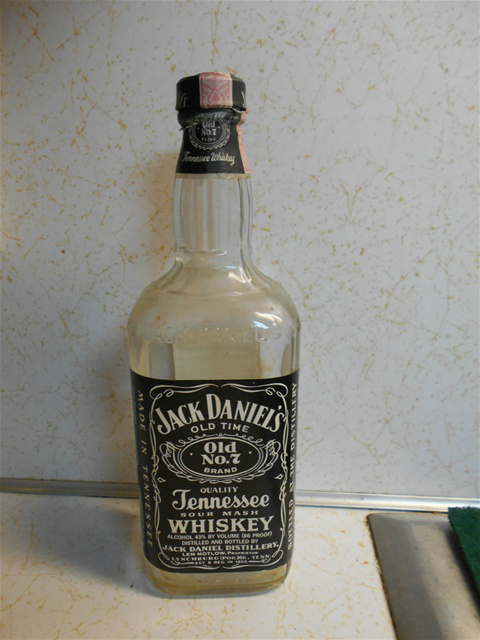 As my husband was getting something off the top of the refrigerator, he discovered a bottle of Jack Daniels. He brought it over to me to look at. The bottle still held about 1/3 liquor inside. “No! It’s alcohol! It’s still good,” he exclaimed as he walked back to the kitchen. “Reese, it is not still good. If it is, I’m not drinking it, and besides, we don’t drink anyway; pour it out,” I insisted. So why didn’t he? That’s the hoarder in him. He doesn’t like to throw things away. I went into the kitchen later and saw it still sitting there next to the sink. I waited to see if he would pour it out or not. The following day, the bottle of liquid was still sitting there. The morning after that, I poured it out myself. The clutter bug in me set the bottle back next to the sink. I took a picture of it sitting there and decided to do a countdown to see how long it would take him to throw it away. I waited and waited and waited longer. Sixteen days later, he finally threw it away. But, he did throw it away.